Police have appealed for information after a pair of shoes signed by Usain Bolt were stolen from a car in Hertfordshire in southern England in December. The signed shoes had been in a black frame along with a certificate of authenticity and a picture of the Jamaican sprint star. According to Hertfordshire Constabulary, the frame was smashed at the scene and the offender(s) took the three items from within it. The owner had bought the item at a charity auction raising money for Sport for Freedom. “The item was purchased for a significant amount of money and the victim had planned to display it at home,” said PC Ben Kirby of Hertfordshire Police. “Whilst the charity has very kindly offered to replace it, the victim is keen to see the return of the original to allow it to be auctioned again and raise further money for the charity. The offender(s) are said to have gained access to the grey BMW on December 21 between midnight and 10am in the vicinity of the Marlborough School in Watling Street, St Albans. 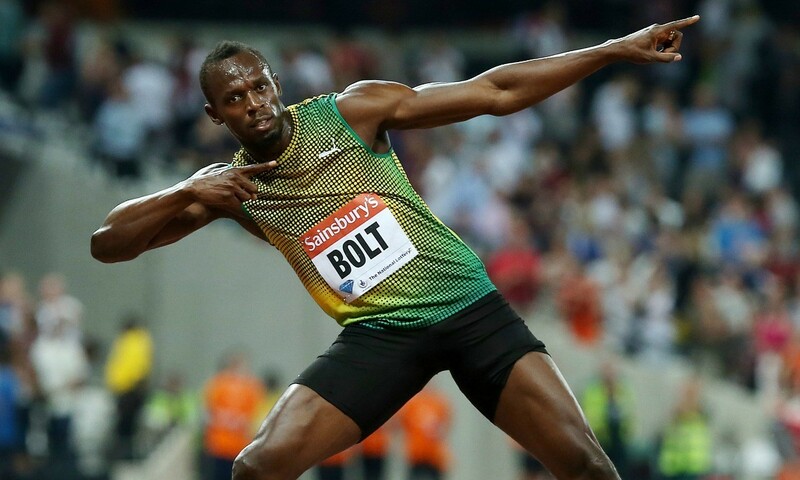 In May 2014, six-time Olympic and 11-time world gold sprint medallist Bolt posted a series of updates on Twitter following the news that a pair of his signed spikes had been stolen in London. At that time he wrote: “Only natural I sign sum spikes after one of my overly excited fan stole that one..FedEx straight to London later” alongside a picture of him signing some footwear.